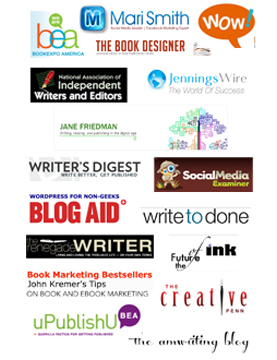 10 Ways to Develop Expert Nonfiction Author Status - Write Nonfiction NOW! 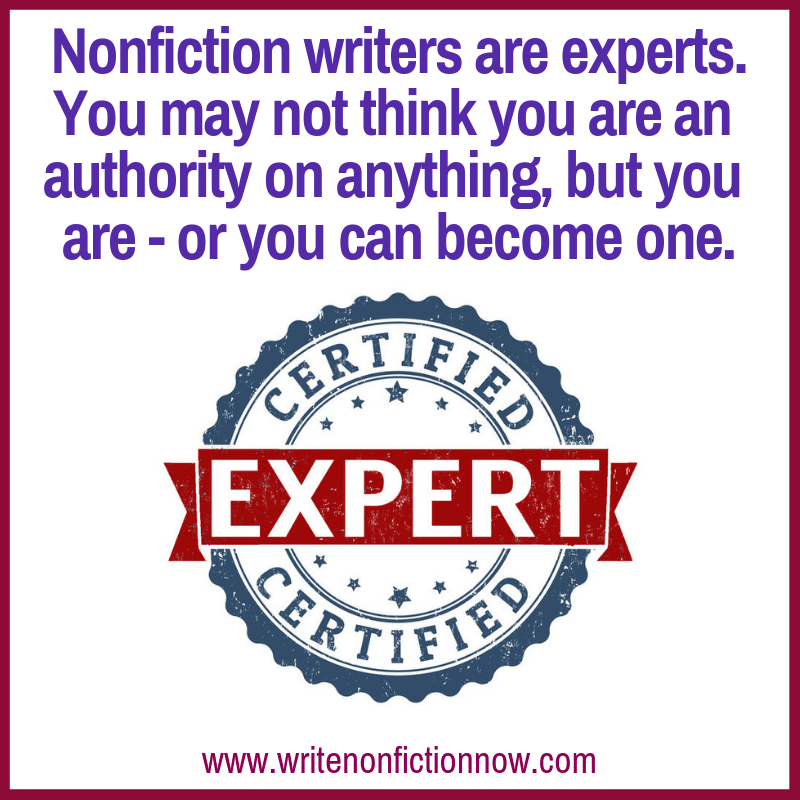 Nonfiction writers need to be experts in their subject matter. 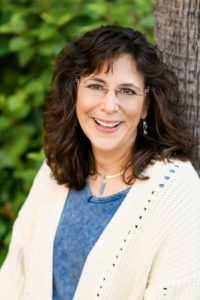 Often, however, aspiring nonfiction authors tell me they aren’t experts, don’t see themselves as authorities on anything, or feel like imposters when they claim to be thought leaders. In fact, becoming—and feeling like—an expert is easer than you may think. If you know more than someone else on a topic, you are an expert. I didn’t say you were THE expert. So, first and foremost, remember that. Second, know that you can increase your expert status in a variety of ways. Some take longer than others, but all of them will help you stop suffering from Imposter Syndrome. It’s my challenge to you this month to up your level of expert status using one or more of these strategies. 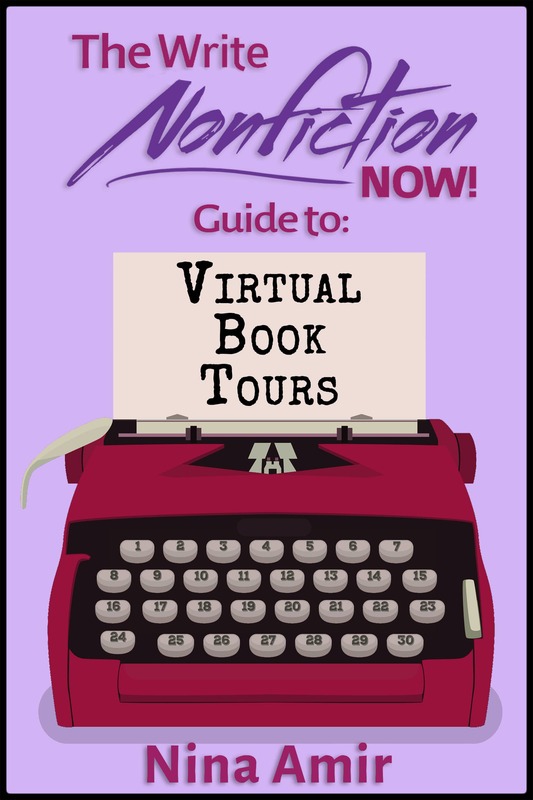 Nonfiction writers need to be experts in their subject matter. To complete this month’s challenge, choose one or more of the following strategies and execute them consistently throughout the month with the goal of increasing your expert status in a subject area. Consistently publish blog posts: If you write two or three blog posts per week on a particular topic—without fail before you know it, you’ll be seen as an expert. 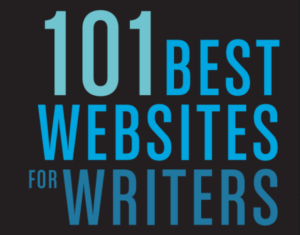 Your blog becomes proof of your authority. Consistently guest post on popular blogs: Every time another blog features your work on its site, your expert status increases. When the site owners or bloggers agree to share your work with their audiences, they endorse you as an authority on your topic—and that’s how their readers see you. If you work appears on well-trafficked sites, you can use their logos and links to your pieces as social proof that you are, indeed, an expert. Consistently write for publications (online and off) in your subject area: You can find a host of magazines, journals, and newsletters that want to publish the work of other experts. These bylines (i.e., By Nina Amir) not only work in the same manner as a guest blog post—you are perceived by that audience as an expert thanks to the publication endorsing you—but you receive more social proof of your authority. Consistently share status updates, blog posts, images, quote cards, etc., related to your topic on social media sites: The more valuable information you share with your target audience on social media sites, the more they will see you as an expert. Always provide value and speak about your topic with authority. Consistently share your own videos on Youtube, Facebook, and Instagram: When your audience can see and hear you speak confidently and passionately about your topic, they gain trust in your knowledge base and ability to help them. The more valuable videos you put out—live or recorded, the higher becomes your level of expert status. Consistently publish podcast episodes or appear as a guest on other people’s podcast shows: Podcasts provide another way for your audience to hear (and sometimes see) you speak on your topic. If you have your own podcast show, you can be the authority and provide pertinent information to your listeners. Or you can choose to interview other experts as well. Consistently speak before audiences interested in your topic: There’s nothing like a live appearance, which is why live video has become so popular. Find opportunities to speak before live audiences whenever possible. The fact that you have been given a stage and a mic say “expert.” And when an audience can experience you first hand, they are more likely to connect with you and your topic—and see you as an authority. Consistently report on news or information related to your topic: If you can disseminate news on your subject as well as analyze it as well, you become a thought leader. Be on a constant search for breaking news, and keep up to date on current events so you can offer an analysis that is pertinent…fast! Consistently curate valuable information on your topic: If you don’t have enough content of your own, you can curate content other people produce that is related to your topic area. As you become known as THE source of great information on a topic, you also become recognized as an authority on that topic. 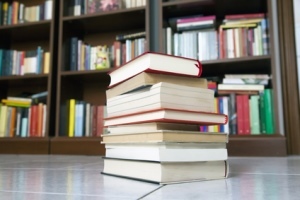 Consistently publish books on your subject: Yes, books make you an expert. 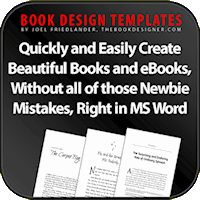 If you aren’t ready to publish a full-length book yet, try publishing short ebooks. The more books you write and release—and the better they sell, the more likely that people will see you as an expert. If you know more than someone else on a topic, you are an expert. Notice the one word repeated in all of these expert-nonfiction-author strategies? Consistently. You can use any one of these strategies inconsistently, but you will get inconsistent results. And it will take you a lot longer to feel like or be seen as an expert. Consistency is key when using any one of these strategies. Frequency helps, too. For example, I became an expert on blogging and blogging books by publishing posts about writing a book post by post on a blog. My posts appeared three to four times per week for five months. I continued blogging consistently after that, and today, I am still considered a leading expert on the topic. You can increase your expert status in a variety of ways. You were an expert before, but after you complete this challenge, you and the world know it to be true. Which one of these expert-building strategies have you tried or will you take on? Tell me in a comment below, and share your results as well. This is great information and insight! Your approach makes it doable! Thank you!